This is a tale about ganking. When CCP announced that they were dropping all T1 ships to require only the racial ship skill at level I, everyone said the same thing. "Everyone is going to just fly Iteron Mark Vs."
For any that are not familiar with industrials, Iteron Mark Vs are the largest Tech 1 industrial ship in the game. It is the last stop before you move up to an Orca. Only, Iteron V's cost around two and a half million ISK and Orca's cost six hundred and fifty million ISK. Past an Orca are freighters and they cost well over a billion ISK these days. That is why many, many people spent the almost month worth of training to learn Gallente Industrial V and gain access to the Iteron Mark V. The Gallente are the only race that have five industrials. Before Odyssey and the skill rebalance, each of the Iteron's was unlocked per each level of Gallente Indistural. Each was larger than the last. Now, with the injection of Gallente Industrial and about 30 or so minutes of your time, the Iteron Mark V is unlocked for you. While this will not be forever, the industrial ships are going to float in limbo for a few months until their re-balance pass happens and they are re-purposed to more specialized abilities. Where there are haulers there are gankers. The problem with industrial is that they can be tanked but people oft choose not to. They cannot be tanked to never die. No ship has that luxury. However, they can be tanked to avoid solo gankers. One of the things that I did with every character that I have that hauls was take the time to learn Shield Management, Hull Upgrades and Mechanics. These three skills increase your base shield, armor, and hull amounts per level for every ship that you will ever fly. Often times the difference between life and death is only a few percents. But these skills are not just for my hull tanked hero Ares. They can make or break a gank. 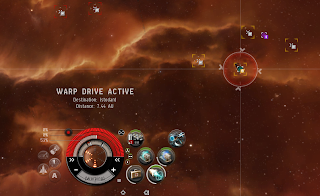 Eve is a matter of choice and many people who make choices to not train into combat abilities also neglect their various structural and navigation abilities. We must learn defensive abilities even if we hav eno interest in offensive abilities. A damage control unit is an incredible thing but the damage control unit has one dark secret that stops it from being placed on many T1 industrial haulers. The damage control unit takes up a low slot which means a cargohold expander cannot to be used and the industrial hauler will have less cargo capacity. The complete, and absolute horror. And with Odyssey, the stars suddenly started to swarm with Iteron V's, with cargohold expanders puffing out their forms into baloons. And once that baloon is achieved the next target is to stuff it full of items. Full to the gills. After all, that is why we got an Iteron Mark V. Yet, the same logic preached to freighter pilots applies here as well. Don't stuff everything into your ship. Don't make yourself a target. If two billion in ISK will bring out the sharks to a freighter I would think that 1.4 billion ISK would lure a ganker to a T1 indsutral hauler. Those who do not gank often only see the results. A tornado and 600 million ISK in items dropped. They do not realize that it is a three character job. One to scan ships and do assessments on the value of the cargo. One to gank the ship, positioned in such a way as to reduce transversal and increase the potential of getting their shots off before concord. A third to scoop the loot and run away while their suspect flag burns bright. But sometimes, when people lose their ISK they get mad and interesting conversations happen. Especially when your ganker is looking for tears. Tak Muertos > I do large scale trade ops, I make that about every week. Never had an issue until right now. Tak Muertos > For you, maybe. I have pretty deep pockets, so you'll be worth killing for a while. I had to ask Vov how much his bounty was. Sugar Kyle > how much did he put on your head? I kind of felt bad for the guy that thought 100 million ISK would make Vov 'worth killing' in the sense of people hunting him down rabidly drooling and gnashing their teeth to rip the sweet iskies from the throat of his spaceship. He doesn't know that Vov is a low sec resident and ganks because he enjoys ganking vs he can't do anything else with his time. Or that he just hops into low sec and wanders over to his neighborhood pirate associates and has us clear his kill rights. People so often associate gankers as ones who do not venture into other part of the games that they get caught in their own presumptions. Such as the fact that the only way to stop ganks is to buff the ships. Vov sits for hours target choosing because of tanks and lack of cargo value. Someone asked him why he does it when there are better ways to make money. He does it because he enjoys it, just as we enjoy anything else in Eve. Some don't understands it and consider him a terrible person. He robs wormhole corps as well. But, he enjoys that too. And no, he is not always successful. 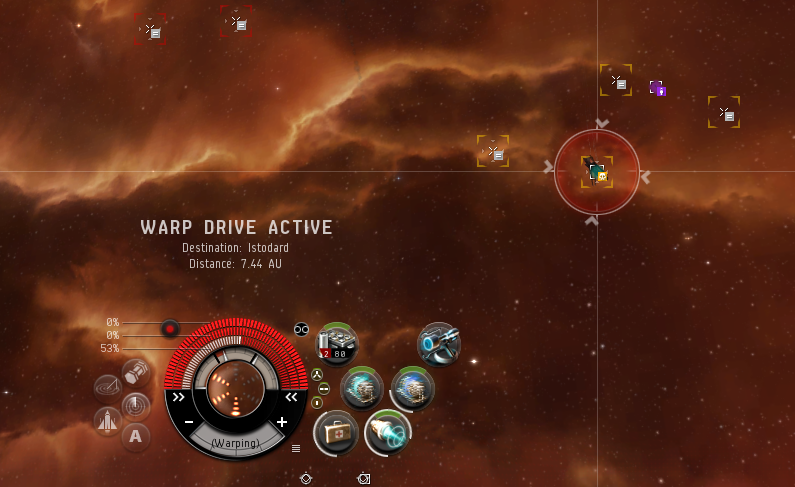 He had one of his gank targets stalk him and kill one of his gank ships by activating a kill right and taking him out. Good for them. He knows that may happen whenever someone does not publicly place a kill right. Sometimes he stalks his victims until they think they will pounce on him and he kills them instead. He managed to get a guy to go through two or three ships and lose them all to Concord that way once. And sometimes, they recite cheesy lines from Eve Trailers thinking that they have destroyed the gankers spirit. Some would consider me victim blaming to point out the haulers role in this. But really, they can tank to stop Vov. They can choose not to shove 1.5 billion ISK into their T1 paper thin haulers. They can choose, like I do, to make a decision about what to run. I decide not to run with over a billion ISK in a Freighter or Orca. I use Red Frog when I need to break up contracts. I make decisions to decrease my chances of being a target. As Vov said to someone else, "There are not Tornados ganking on every gate as some would have you believe." And there is truth in that. There is not. But there are some. And the intoxication of the Iteron Mark V has blinded many to their basic safety. And that, at least for me, is an example of a carebear. Someone who doesn´t learn. Prime example: someone running to the forums after being ganked screaming about nerfing ganks, but thats still a good example. And industrialist would see a chance for money (maybe asking the ganker if he operates often in the area and putting gank ships into the market). The guy who killed me apperently made a video about it. I cant stop laughing. Also despite the first 3 letters in my characters name spelling out 'Vic' people generally call me Vov. LOL, That's pretty awesome. Well done sir, as far as I consider, those are EPIC tears from him to go through all that trouble. Moving 1.6B will never be safe, it is close enough to the threshold to gank a freighter. But an untanked Iteron V ... well deserved that loss. People still need to learn how to fit ships and specially to value there isks. Do they get rich too fast or why are so many out there loosing there stuff to something like that? And that's why I've stuck with my little Mark III post patch. Its cargohold is more proportional to the defensive capabilities of the ship, and it scoots around much more quickly than the Mark V (partly because I fit it to do so). If I need to move something valuable, I simply don't use it. The other appeal of the Iteron V is not only that it's big, it is also that at its largest expansion it has the best cargo/mass ratio, which is important when you need to move large amounts of stuff in and out of a low-grade wormhole. I move billions around daily between 18 different trade alts all over the place. All my pilots fly frigates for transport, mostly Vigils though I am slowly getting them into Cov Ops. I haven't flown an industrial or other large hauling ship in over a year. They're slow, ungainly pieces of crap... Big easy targets for gankers. I don't deal in bulky items like ore and PI mats so I see no reason to fly one. Usually my cargo runs are fairly short with somewhere between 500 million and 1 billion on board but sometimes I'll go on a much longer run with far more valuable cargo. Last weekend for example I took 10 billion on a 50+ jump trip with dropoffs and pickups all over the place. The ship I used for that trip? A Manticore.